Two of the best tabletop cigar lighters. 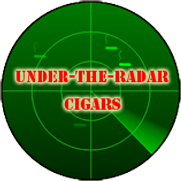 Finding the right cigar lighter is a personal matter. We all have our preferences, and there are lots of lighter styles from which to choose. But ultimately, what we cigar smokers require from a lighter is universal: a solid flame that lights each and every time we pull the trigger. That’s not a lot to ask, but over the years I’ve been amazed at how many pocket lighters fail within the first few months of use. The only such lighter I’ve been satisfied with is the S.T. Dupont MaxiJet. Although relatively expensive ($150 street price), it’s an investment worth making. But everyday cigar smoking lends itself more to a tabletop lighter. One popular model is the Vector Megapump. I’ve used this lighter and it seems to works well. Not having owned one, I can’t attest to its reliability. And at prices above $100, it too is an investment. 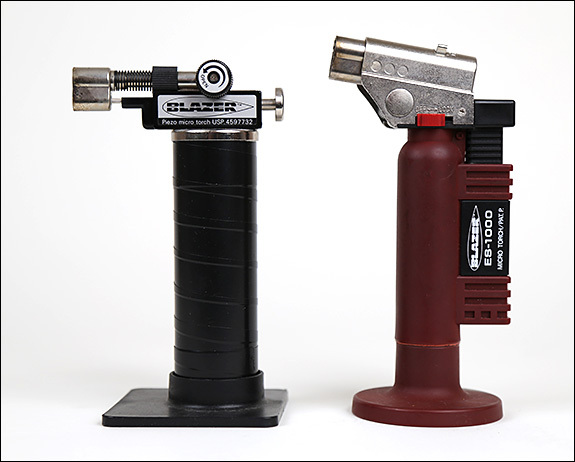 But there are two lighters I’ve been using, literally for years, and both are my workhorses for everyday cigar smoking: the Blazer Piezo Micro Torch and the Blazer ES-1000. These run in the $50 range. The secret to the reliability of these lighters is the fact that neither is actually a cigar lighter. They are jeweler’s torches, design for prolonged use and ruggedness. 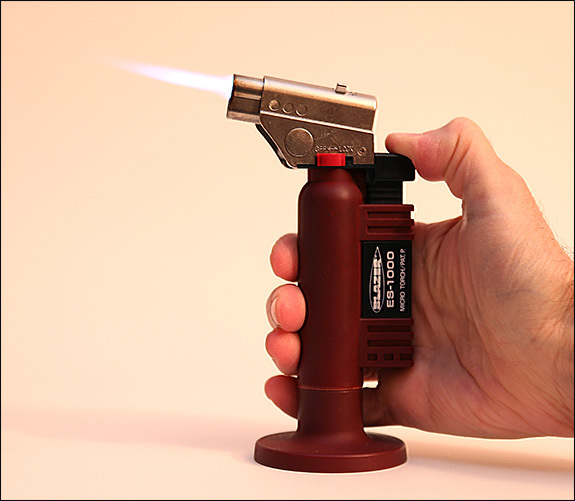 Yet they make the perfect cigar lighter. The torch flame is strong and pointed, directing the heat exactly where you want it. And with huge fuel tanks, they require infrequent refueling. I’ve become so dependent on the Blazer that I carry one in my cigar bag. The poor little MaxiJet doesn’t get much use anymore. The Blazer ES-1000 has one-touch operation. 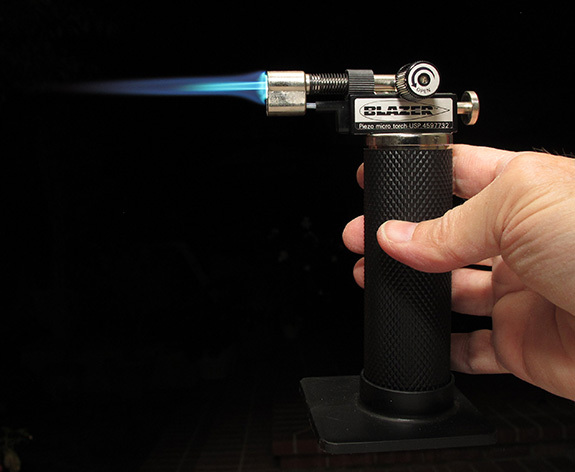 If you want a solid, dependable, and economical cigar lighter, I recommend getting a Blazer. Either unit is terrific, although lighting the Piezo Micro Torch requires first turning on the gas, then pushing the ignition. The ES-1000 is a one-touch operation. One caveat is that some newer ES-1000 units have a locking mechanism that is a pain to operate. My friend got one of those and we immediately broke off the annoying plastic lock. I can’t say enough about these invaluable cigar accessories. 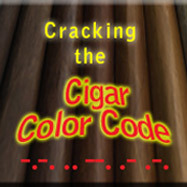 I hope this bit of information leads you all to a better cigar smoking experience. I guess I really am “Old Corps,” Marine Corps term. I honestly feel that for the money the best and most reliable cigar lighter, or camp fire lighter for that matter; Is the oldest most reliable, wooden stick match. I kid you not, works for me, without fail!! @SuperSniper, I’m with you there! The longer the match, the easier the light. Ever heard of Ronson’s Jet Lite?Bout $3 each in WallyWorld or CVS Pharmacy.I have a dozen or more,most last at least 2 years.My longest survivor lasted almost 5.It’s life was cut short through no fault of it’s own…..an inebriated night in Vegas led to it’s MIA status.The trick to making these last is good fuel,not the cheap crap they sell along side them.I purchased a case of Power Butane(5X refined) about 5 years ago,still half a case left and not one complaint.